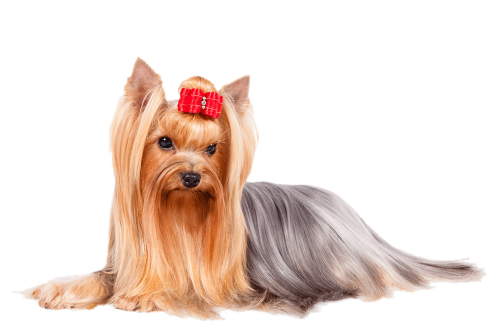 The Yorkshire Terrier is sprightly, tomboyish, and affectionate. Yorkshire Terriers, affectionately known as "Yorkies," offer big personalities in a small package. Though members of the Toy Group, they are terriers by nature and are brave, determined, investigative and energetic. They do not realize how small they are. Yorkies are easily adaptable to all surroundings, travel well and make suitable pets for many homes. Due to their small size, they require limited exercise, but need daily interaction with their people. Without strong leadership they tend to become bossy, especially if their owners allow them to get away with naughty behaviors - like yapping and pulling - that would never be acceptable in a larger dog.